We’re excited to announce our new App., BlastEm, is available as a FREE download in the App Store. Since it is a new App you will need to search the App Store by the exact name BlastEm. You can also find it on Google with the following search argument “BlastEm app on iTunes”. It will be the second result returned. Tired of being ignored and mistreated by large, faceless businesses? Has Holiday shopping already left you feeling angry and frustrated with no recourse? BlastEm is the answer! BlastEm is a consumer-advocacy application that enables the underdog consumer to have their voice heard by business leaders who can make a difference. The application enables the consumer to have direct e-mail contact with executives of over 250,000 companies. The consumer can send a message – including text, photos, and video – to share a complaint, a great experience, or just a suggestion. BlastEm allows users to send copies of their communication to the press, social media, regulators, and business reviewers. If you are frustrated and feeling powerless, BlastEm will be your voice… a voice that will be difficult to ignore. We welcome feedback and comments to further enhance the app. Over the past few months we have been blogging about issues of interest to consumers. We have also taken our vision to the next level by creating a Smartphone application. The application is called BlastEm. 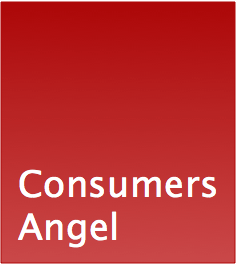 We at Consumer Angel want to thank all of you who have been following our blog for the last 8 months. BlastEm allows the consumer to have direct email contact with the senior management of over 250,000 US businesses. The BlastEm user is able to send their communication directly to top management about a problem, a great experience or a suggestion. Additionally, the BlastEm user can copy the press, social media, regulators and business reviewers with their communication AND it can contain photos and videos to emphasize their point. Consumer Angel, Inc. is excited to be launching an IndieGogo Campaign on Aug. 26, 2013 to showcase our BlastEm application. Indiegogo is a crowdfunding site that provides a forum for small businesses to raise money. We are looking to raise $50,000.00 on the crowd funding site IndieGogo to complete the application and roll it out to Smartphone users around the US. Do you have lost money and how can you find it? Perhaps you had an old bank account and you forgot about it. Maybe you were left money by a long lost relative but you could not be found by the estate. Perhaps you have a tax refund but you moved. You may have moved and been entitled to a refund by a utility and they did not have your new address. The company or business does not get to keep your money. The laws vary from state to state. The process is called escheatment. If after a certain period of non-activity on a bank account or after a check has not been cashed, the funds are turned over to the state where they are held in trust usually in perpetuity. It is estimated that there is currently $41.7 billion waiting to be returned by state unclaimed property programs to their rightful owners or heirs. How can I see if I have any unclaimed property? There is a web site www.unclaimed.org where you can research to see if you have any unclaimed property. It may take a little work since each state is different and you will need to search each state that is applicable to you individually. While it may take a little time it can be well worth it. Today it is easy to spend hundreds of dollars on new eyeglasses. This is especially so if you add options, such as bifocals, progressive no line lenses, anti-scratch coatings and UV protection. One big question for many of us is how we look in the glasses; we can spend hours in eyeglass stores trying on dozens of frames until we find one we are happy with. There is a web site we highly recommend featuring great glasses at bargain prices. The company is Zenni and you can find it at www.zennioptical.com. At Zenni’s web site you can upload your picture and see exactly how you will look in dozens of frames in just a few minutes. You can even personalize your frames. If you want to speak with a representative, you can do so using Zenni’s live chat feature or 800 number. Talking with a friend a few days ago, I commented on his new glasses and how perfectly suited they were for him. He told me he had just bought them at Zenni and they cost him under $20.00. He was totally satisfied with the shopping experience and delighted with the savings. His previous pair of glasses, which he purchased at a discount eyeglass chain, had cost him over $100.00. You can also try http://www.eyebuydirect.com and http://www.glassesusa.com, both of which look very interesting but with which we have no personal experience. Today, when saving every penny helps, it is easy to go to your favorite search engine and type in “saving money on …” and see what options come up for the frugal shopper. You can start by creating your own credit monitoring service by getting a free copy of your credit report from www.annualcreditreport.com , the only authorized site under federal law. You are entitled to one free report annually from each of the three major credit bureaus, Equifax, Experian and TransUnion. If you can order one from a different bureau every four months you are able to tabs on your credit over the entire year and the information is usually very much the same in each of the credit bureaus. You should freeze your credit files at the three major bureaus; so that no company can look at your report, other than the institutions you already do business with. Since creditors typically will not open up a new account without accessing your report, this decreases the chances that a thief will be able to open up an account in your name. However, freezes are not bulletproof. A thief could try to open an account with a company you are already doing business with, or they might take over an existing account and redirect bills and e-mail to another address. You can put Freezes in place through each of the three bureaus’ Web sites, www.equifax.com www.experian.com and www.transunion.com . The fees for freezes vary from state to state but they are usually nominal and well worth it and in many states they are free. Remember you will need to remove the freeze if you are applying for new credit like a mortgage. Always check credit card and other financial statements for any suspicious transactions, and notify your financial institution immediately if you notice any. Consumers are not liable for any unauthorized use of their accounts. It is really a good habit to get into to check all of your accounts weekly because that way you stay on top of any problem. I can check six accounts in less than 10 minutes just by going to the institutions web site and checking my current transactions. Like many of us I have become very dependent on the Internet. I work from home occasionally and I need my Internet access for that. Many personal financial activities are also done regularly on the Internet as well over my secure WiFi network. This past Friday at about 11:30 AM while I was working on a project for an important client my Internet service went down. I immediately did all of the things I know that they do to fix the problem simply. I reset my DSL modem twice and I was still unable to connect. My next step was to call Verizon and they did the usual and ran I line test. I was told that they were uncertain if the problem was in their central office or on my side. I was asked about things like had I decently installed any new software and finally I was transferred to a network specialist. He ran diagnostics and told me the problem was definitely in the central office and it would be corrected in 12 to 24 hours. I explained that I needed the Internet to communicate with my client and he noted my records and said he would do what he could to get the problem resolved quickly. When nothing had changed and I had no update by 4:00 PM Friday afternoon, I called back. I was given the usual runaround that Verizon gives to people by trying to talk over their head about how serious the problem is in words most people would not understand. The problem is I do understand this and I was not impressed when I was told they had a bad port or that they had to replace the DSLAM. I was again promised that the problem would be fixed in 12 to 24 hours. I wake up Saturday morning and go to check to see if the problem has been resolved and low and behold my landline to which my DSL is attached is no longer working. I guess they must have switched out the DSLAM. Bad guess!! Many more conversations with Verizon representatives and supervisors, who promise to call back with status and never do and my phone service is restored by 1:00 PM on Saturday. I discovered this because the phone rang (Not Verizon calling). Still no Internet service. On Sunday after many more calls and conversations with two more supervisors, I am finally told what the real issue is. Verizon outsources the maintenance of the equipment in their central offices to a third party but their contract with the outsourcing company is only for five days a week. When I heard this I was flabbergasted. I asked the supervisor if Verizon though of itself as an Internet company. Of course they do!! Well when I suggested that all other Internet companies I know run 24 x 7 operations 365 days a year there was no reply only an apology. For those of us who are captive to a single provider, like I am we need some help with this irresponsible behavior by a monopoly.